For over three years now we and many others have stood by and made a record of judicial branch accounts. Today our record spans over 500 articles on this site alone and another 140 produced by or produced in conjunction with media partners from across the state. All of these articles work together to thoroughly outline and out of control AOC under the tutelage of a Judicial Council whose only interest is to provide cover for their administrative offices misdeeds, much like the administrative offices provide cover for judicial council misdeeds. What was supposed to be branch leadership presents a public face more akin to a protection racket and organized crime and less of a branch of government that exists to protect the common man dedicated to fair and equal justice under the law. In case you haven’t figured it out yet, these people never, ever make mistakes. They tout themselves as setting standards of excellence in administration that can only be compared to FEMA’s response to Hurricane Katrina or the infamous Bonnie & Clyde as bank protectorates. While the pawns on this expansive board may have gotten some new titles, the pawns that have mismanaged the branch into a 1.2 billion dollar budget cut don’t believe they’ve done enough damage and are seemingly intent on doubling down on that effort because sooner or later, as the theory goes, we will stop screaming at the judicial council and the AOC as being the problem and redirect our focus at the state legislature and governors office whose persistent budget cuts are the real problem. At least, this is what the Judicial Council, the AOC and their various operatives throughout government and on both sides of the bench wish us to believe and it is the message that they want you to carry forward under the mantra of speak with one voice. 2012 was the branch leaderships year of shock and awe that has seemingly panned out more like par for course and disbelief. 2012 was a year where they lathered on the chutzpah hoping that you and others would buy their version of change you can believe in while delivering what can only be described as more of the same. Twenty twelve brought us a series of reports that painted gross mismanagement in 12 foot high letters across the front of that civic center facing building at 455 golden gate. While on one hand it brought one multi-billion dollar boondoggle to its knees, none of us was paying much attention to the other boondoggle that would raise its ugly head in Long Beach. We would continue to witness a list of SB1407 projects supported by billions in overpriced fines, penalty assessments and collection costs that serve to create palaces of justice and ensures those that can least afford it continue to pay a disproportional share. California is now home to $60,000.00 bail “infractions” and where Abalone is afforded greater protections than our children against child molesters. Unlike countries like Finland where a speeding ticket might cost the president of Nokia $110,000.00 because the ticket was based on his income, our tickets don’t take societal impact or the thickness of ones’ wallet into account and it is the most vulnerable in our society that we tag with these outlandish and uncollectable assessments and fees that now total 7 billion dollars. We’ve commented before about the late Steve Jobs and a magazine journalist that followed Steve for a day in the life of article. In that article the journalist noted that the otherwise healthy Steve Jobs (pre-cancer) had reserved parking wherever he went and they were called handicap zones. And parking in these handicap zones did not phase him in the least because one man’s 500.00 ticket is another man’s quarter for a parking meter. For their part, branch leadership is doing everything they can to ensure that these assessments and infractions cost us more to support court operations because as we all know, vastly increasing the infraction poor tax is as equally as productive to society as stealing food stamps from a mother with 4 children whose spouse was killed in an accident. The poor are tagged with a mountain of societal debt that they can never hope to pay off and then we add insult to injury and send it out to collections and warrants, thereby closing the door on their ability to gain employment that might aid them in addressing the problem because now this stuff comes up on pre-employment background checks. And the gulf between the haves and have nots grows. We take their cars away from them and impound them for thousands of dollars we know they can’t come up with. And then we sell them when they can’t come up with the money and yet we wonder why they don’t just pay their fines. The singular core function of any judicial branch is to fairly adjudicate cases based both on fact and circumstance, yet in leaderships zeal to get their hands on the money, they are auditing for conviction rates and how much of the full-boat fine individual courts leveled against individual respondents, stripping away judicial discretion to lower a fine and all but completely barring any form of redress once a ticket has gone out to collections. Yes, today is yet another proud day for California’s tax collectors judicial branch. Twenty twelve would also be the year where we learned that in San Bernardino county you’ll have to drive three hours in one direction to find justice. Where hundreds of perfectly good courtrooms would be closed so that we could build dozens of overpriced courtrooms as tow the party line political favors. We would learn that in San Joaquin county if your dispute was less than ten grand and you weren’t represented by an attorney, then tough luck. We’ll take your money and file your dispute but don’t count on us hearing it. Others would pay court reporter fees with each filing, yet were not entitled to a court reporter. Lines now stretch around the block and it is all of these citizens who pay the ultimate penalty for branch mismanagement while at the top of the food chain, they hand out more promotions, more raises, hire more people and build more courthouses. Yes, in more ways than one, twenty thirteen will serve as a year of reckoning, when branch leaderships accounts become due. They’ve undergone monumental change they wish you to believe, yet all they really did was call Kinko’s and have new gold embossed business cards printed up with new titles. They conducted a global talent search for a true leader to take the reigns and lead them to the promise land only to choose and insular crony of a known quantity to lead us all into hell. They scandalously appointed an acting executive director who almost instantly elevated her protoge so that she would have a trusted hatchet man. They all but cleared the ranks of African Americans employed by the AOC while committing themselves to access and diversity. They would promote one of California’s most discredited lobbyists of all time into an executive management position knowing that they just could not justify letting him walk away with what he knows. Today, they tout all of these things as reform, as change you should believe in. As the reason to lend your voice and speak as one. Yet as we all can plainly see from the ranks of citizens to and throughout the other two branches of government, no one is buying what they are selling, unless they are financially dependent on this chutzpah. If they’re financially dependent, they’re also trying to sell this as change that you can believe in. But they know that it is not working, so they’ve reverted back to the old tried-and-true controlling the message. Controlling the speech of our judges. Controlling the speech of our citizens. Shutting down the information highways that have proved their malfeasance time and again. And they believe that this will work. They believe that this legislature and this governor will buy what they’re selling and increase your court budget, so that they can take their 20% cut. Twenty Thirteen promises to be a year of reckoning where much of this comes to a head. Where a ballot initiative to democratize the council will be pushed forth in the legislature. Where the responsibility of mismanaged centralization is clearly defined and dealt with. Where our courts begin to re-chart their proper course and where independence of the judiciary does not mean operating under the rule of the central poliburo in San Francisco that couldn’t work their way out of a paper bag even if you gave them neon direction signs. These things will never happen unless you make a personal commitment to double down on your own efforts. Your efforts to educate legislators. Your efforts to educate the media. Your efforts to educate both sides of the bar and last of all your efforts to educate the citizens we serve. The death star is working against you as one of the most corrupt entities in the history of California. 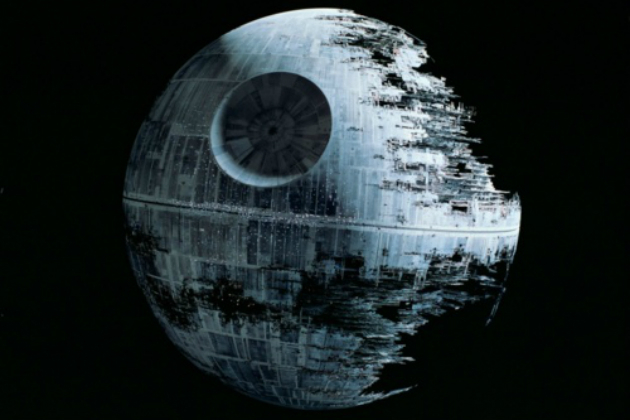 The Death Star has lost sight of our Branch core function. Every Judge on here will tell you that too. JCW & everyone on here keep up your efforts in 2013. In the first half of 2012 the AOC.spent over $800,000 purchasing digital recording equipment. I was unable to.find.any request.for bid on their website. Just another example of making their own rules. The Judicial Council has submitted a report to the Legislature in accordance with Government Code section 69958, which requires the Judicial Council to report to the Legislature, on a semiannual basis, regarding all purchases and leases of electronic recording equipment that will be used to record superior court proceedings. The report must specify the name of the court, the types of proceedings for which the equipment will be used, the cost of the equipment, and the types of equipment purchased. The total amount spent by these 11 superior courts on the purchase of electronic recording equipment during the reporting period was $792,643. The purpose of the code section (Gov. Code §69958), along with other legislation, was to put a crimp in the use of modern digital recording in our trial courts. Digital multi-track recording should be used. In conjunction with a modern case management system, which in turn uses electronic transcripts, both CT and RT (which should be morphed into oral proceedings transcripts aka OPT), this could save a lot of money and help keep courts open. But efficiency and modernization play second fiddle to agendas, politics, lobbying, etc. The CCRA and NCCRA have lobbied mightily against this progress and essentially slowed it to a halt. To fully understand what happened, you need to also read §69957, particularly the last portion which was added/amended at the same time. This all occurred in 2004. The legislation is chaptered in Chapter 227 of the 2003-2004 laws in sections 62 and 63. I remember all this very well and wrote about it in my legal newspaper technology columns at the time. There are lots of agendas at work in all this fight over money and power. And, as everyone wrangles, the courts are crumbling, piece-by-piece. Isn’t it time for everyone to stop all this and just save our courts? This is like legislation to stop the development of the automobile in favor of horse-drawn carriages. From The Recorder Interesting. I notice that, almost every time this publication mentions the ACJ, they manage to throw in a jab at them too. It bugs me. Viewpoint: A Sneak Peek at Next Year’s Headlines. Is this wonderful news for real?! I’m still reeling from JCW’s April Fool’s joke year before last! Yeah, I’m sick of the media jabs at ACJ too. Newspapers are leery of people who think for themselves? Hey, I look at it this way: I don’t care what you call me, just call me. I think that having the ACJs name out there is good. Let folks bash them who cares? Just shows they are a player and a serious one.